4 Mens haircuts 2018 and color: Create a good team! Variety and solutions’ flexibility allows us saying with confidence: mens haircuts 2018 are for everyone! Outstanding hair artists took into account any texture, face shape and hair quality developing mens fashion haircuts 2018. This year you’re so free in choice! Natural, retro-style, preppy, rockabilly and punk – all contemporary mens haircuts come in trends for you! Read our «Mens haircuts 2018: Inspiration and photos for great makeover» article to make trendy choice! 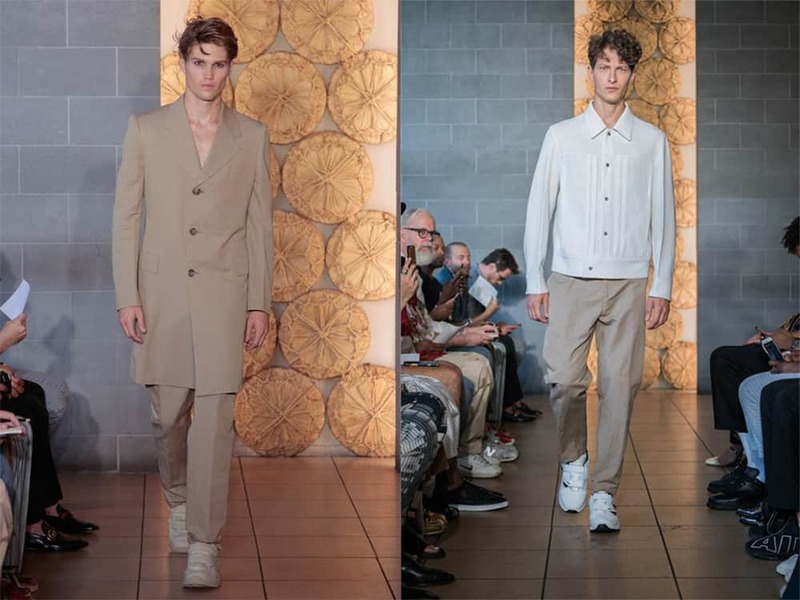 We saw really inspiring mens haircuts 2018 on newest fashion shows. COOL HAIRCUTS gathered best ideas for your perfect look! 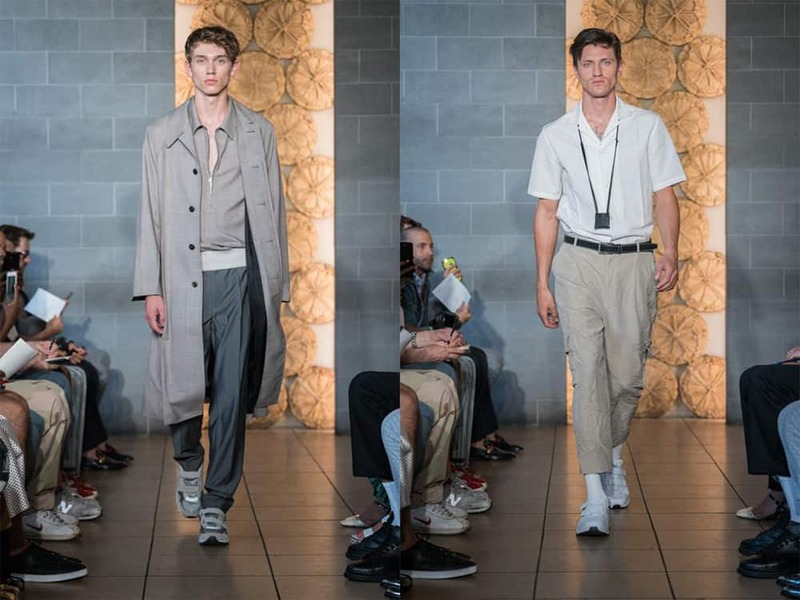 Deveaux presented really contemporary mens haircuts and styling on NYFW. Those “Schrodinger” cuts are with bangs and without them simultaneously… Ask master to leave longer strands for root volume, besides sides. Front strands thinned more and cutted shorter. And one strand styled down on forehead. It’s so elegant – on any texture! Same brand proposed another mens fashion haircuts 2018 options: classical haircut transformation with side parting and “invisible” side bangs. 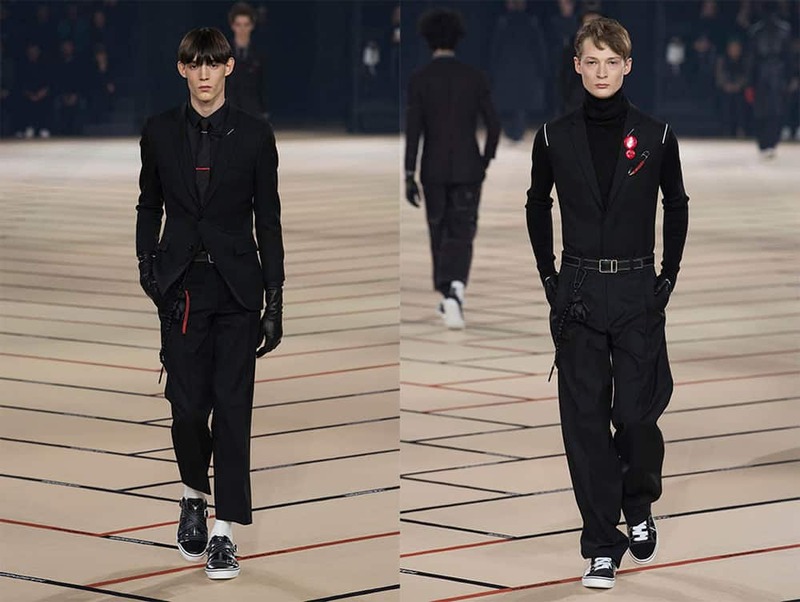 It tends to preppy style, but still is very masculine. Hedgehog cut, styled up, climbs on mens haircuts 2018 top! This season cut includes rich feathering. Hedgehog can be styled carelessly and spiky. That option, enriched with efficient highlighting admires! If you’ve got longer option, inspire with Dior looks: style hair fully up without dividing on strands at all. 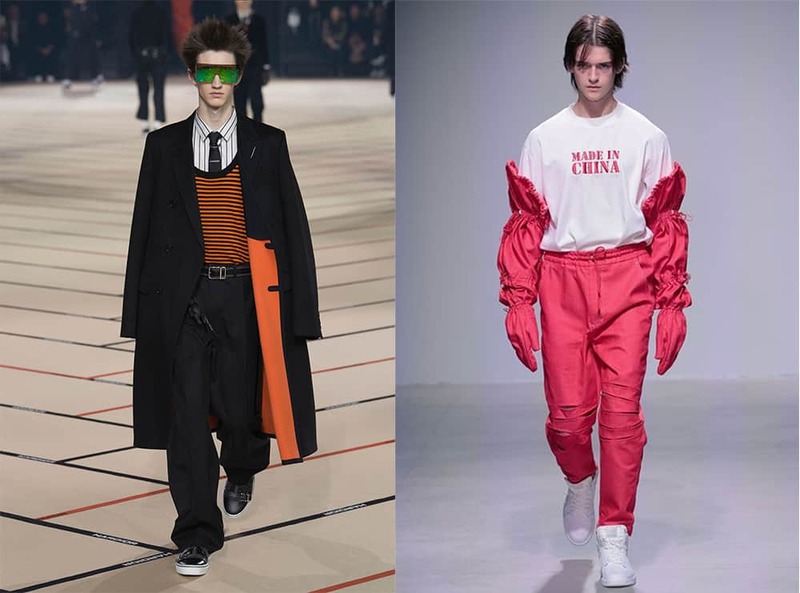 Mens haircuts 2018 adapted some options from past to modernity. Maybe, retro style is youth’s idealistic view on old times… We «forget» worst and get all best with us, to new times. At first glance it reminds watching on nostalgic photography. But in reality stylization includes interesting work: our «photography» were processed by our time artist. So, we feel new point of view behind scenes. And it’s cool! 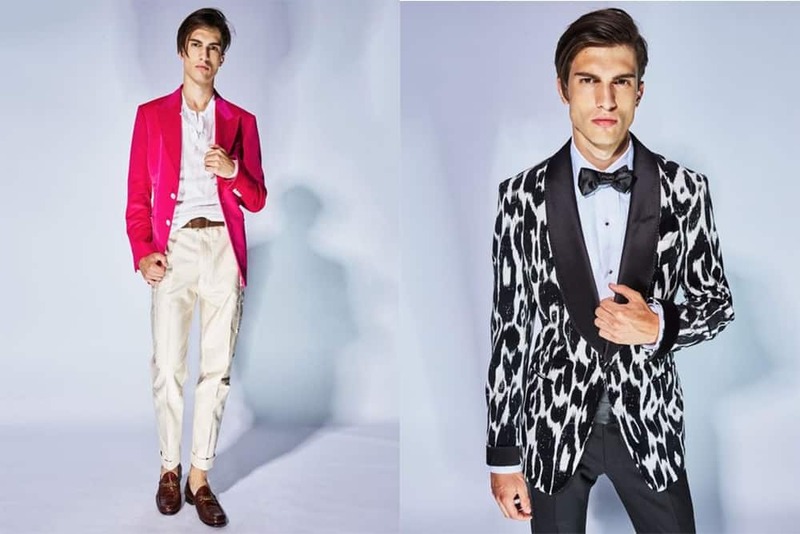 Tom Ford models appeared with accented side partings and long feathered bangs, harmonically continuing full length line. That elegant option perfectly fits oval, rectangular and square face shape. Rockabilly style get repeated in contemporary mens haircuts. It can be long bangs, left curly, sleek back hair or two sided, but still gelled options. Don’t forget about little feathered tips. Hair gel with gloss soft gloss effect would become your best friend, but don’t overdo it! Anyway, naturality is main trend. We’ll just say few names: Paul McCartney, James Hetfield, David Bowie. Of course, your first association is incredible music and what’s second one?.. All they wore wow mullets in past. And now it comes one of trendiest between mens fashion haircuts 2018! We’ve already remembered quietly varied stylings, hair textures, lengths and thinning degrees. 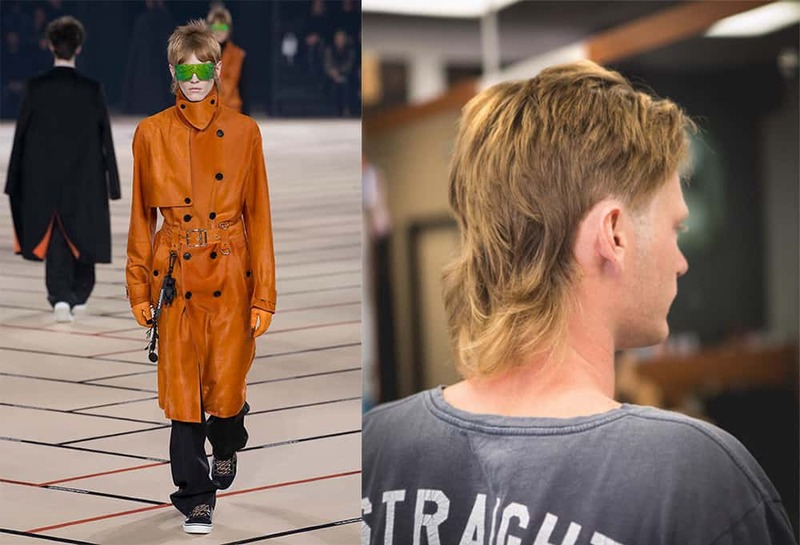 Now mullets, as mens haircuts 2018, became even more multifaceted! They’re often combined with other cuts and styles also, for example, with mohawks or ponytails. Character feature for new mullets – spiky styled feathered strands on back of head. We’ve got acquainted with leading and most eye catching tendencies. Of, course, they’re much more multiple and it’s not full list. So, what else is characteristic for mens haircuts 2018? If volume is mostly out of fashion for women, it’s ok for you! “Lion mane” effect won’t just accent masculinity in your image, but should mask thin hair problems also. Volume near forehead balances diamond face shape and distracts attention from long nose. If you’ve got elongated face, try another options. 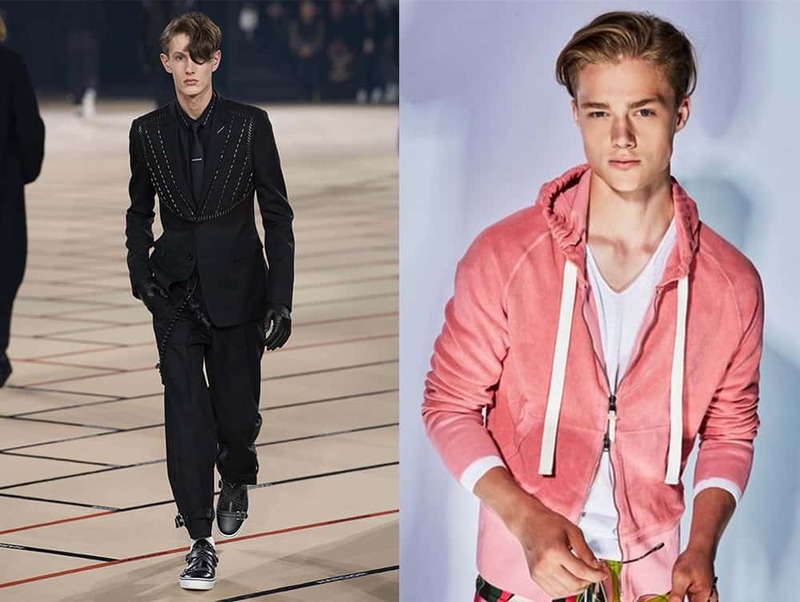 Preppy style doesn’t mean just school look transformation in contemporary mens haircuts. You’re welcomed to wear clearly same haircut you had at Junior School. But be careful – that option doesn’t fit men with too big face elements. Feathered curly hair is ok! No, it’s not ok… It’s great for this season! Mens fashion haircuts envisaged for everyone. Try so called skater style cut. 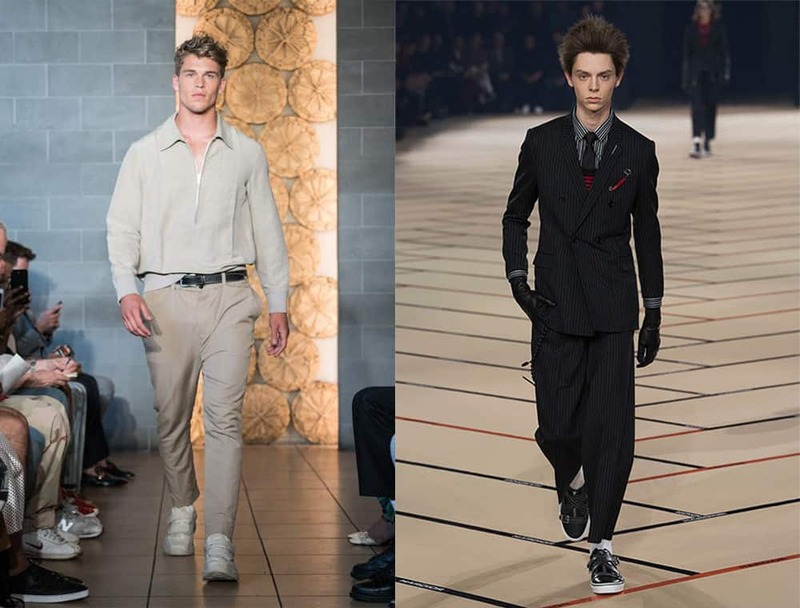 Anything you’ll wear with it – sportswear or elegantly tailored suit – combines perfectly trendy! Medium and long length expresses something poetic by it’s look. Warriors, poets, musicians – all they preferred royal length in past. Now long contemporary mens haircuts worn by people of multiple professions and tastes. But mostly they’re still chosen by unique, creative and courageous persons: sportsmen and artists. No matter, if it’s straight or curly hair – length accents it’s health and your individuality. And, by the way, medium or long length mens haircuts 2018 highly recommended to tall gentlemen. In opposite, short cuts make person visually taller. Buzz and crew cuts interestingly modified. First to notice – you won’t find any “almost bald” options on runways, use length near 1cm. Second cool idea – brightly colored short hair climbed on trends’ top. You’re welcomed to try any bangs’ options with crew cut to correct face shape. Mens haircuts 2018 and color: Create a good team! Hair color depends on cut and we’ll give you few tips for mens haircuts 2018 successful combinations with color. Highlights often decorate contemporary mens haircuts. Avoid clear stripes – they’re out of fashion. Modern highlights remind soft flares more. Try 2-3 tones bleaching only. It won’t damage your hair strongly, but create interesting volumetric effect. 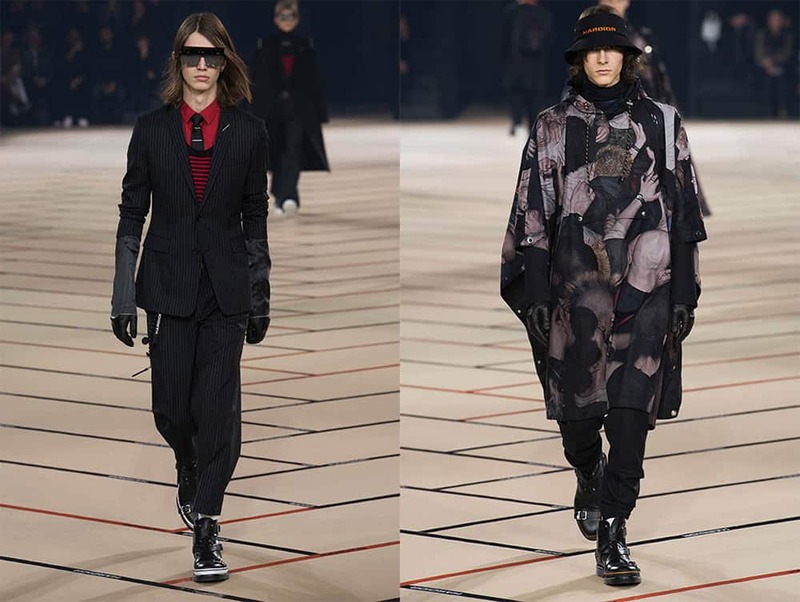 Deep cool chocolate shades would fit both naturally dark-haired men and blonds, who need whole image changing. Such color nuances pretty accenting blue eyes. Suit for cool color type. Chocolates often include special tones, masking grey hair, so it’s good chance to look younger! Warmer cognac shades come very trendy. Cognac looks good with thin highlights also. Icy silver and all extreme shades figured on runways – for bold persons’ joy! 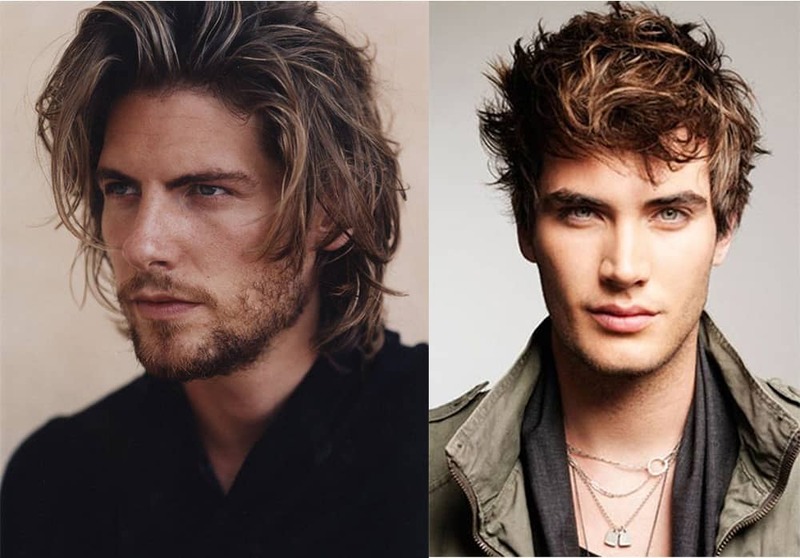 As mens fashion haircuts 2018 often repeat sportsmen looks, surfer hair effect gains big popularity. If you’ve got long curly hair, you could achieve full identity with natural surfer hair look! Just ask good hair artist for highlights, simulating sun burnt hair color. Hopefully, our «Mens haircuts 2018: Inspiration and photos for great make-over» article guided you to best trendy image.